The house is very well located for the water sports haven of Rock, which is only 1 mile away as well as the famous St Enodoc Golf links. The wonderful surfing beach of Polzeath is also only a short drive away where you’ll find two surfing schools, watched over by lifeguards during the summer months, together with surf hire, a variety of local boutiques, convenience stores and shops, alongside atmospheric cafes and lively restaurants. 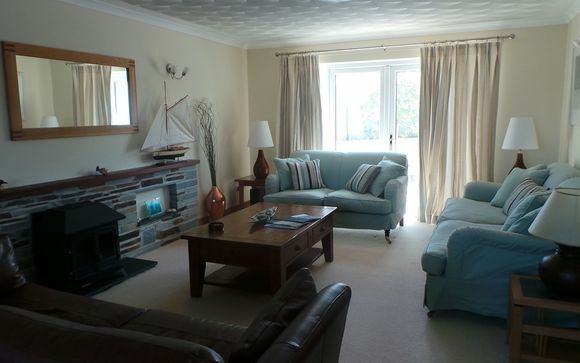 A perfect location for a beach holiday in this much sought after location. This offer is based on a 4 Bedroom Accommodation. Burlorne is a contemporary property which has been furnished to a very high standard. The accommodation is very light and spacious, and has the added advantage of an outdoor heated swimming pool (available to use from the beginning of June to the end of September), sunny patio and wrap-around garden, BBQ and everything else you could need to make the most of the stunning Cornish weather. 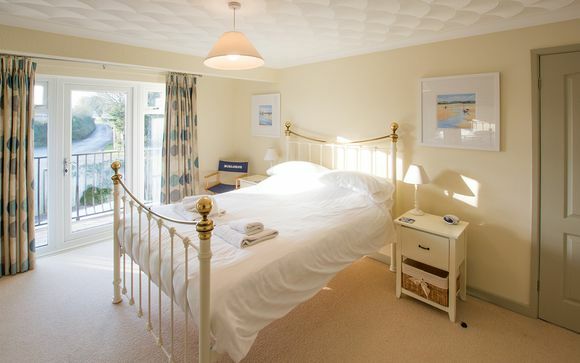 The beautifully decorated interior features a soothing colour palette, large airy rooms, a modern kitchen and spacious conservatory, and four well-furnished bedrooms. The large reception area and separate utility room are perfect for unpacking after a day exploring, and the more formal dining room is ideal for memorable family meals. Your kitchen features electric oven and hob and dishwasher - all that you need to craft fun, exciting meals with your family and friends. 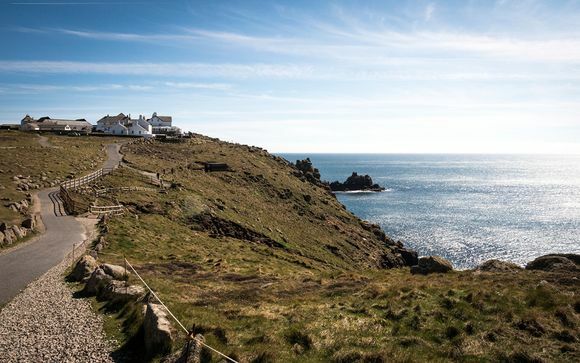 Of course, you are also free, and encouraged, to explore your surroundings and find delightful cafes, restaurants and pubs where you can sample some lovely British coastal cuisine.